They say, pride comes before a fall and it would be foolhardy not to take profits on this two week, enormous rally, that I feel has not got the true foundation to go up from here. In fact, it has gone up too far, too fast and for mostly premature reasons. 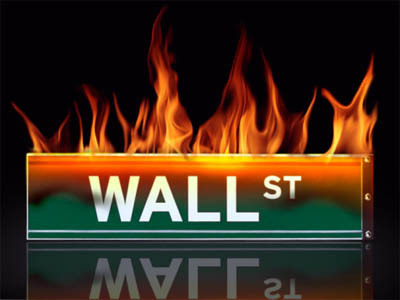 Like it or not, this has become a traders market in the casino of greedy gain. If it continues to rise (and it may well do so) it will only take some nasty news, from out of the blue, to send the stock market crashing 2000 points, back to 6,600 or below. I am neither a bull nor a bear, rather, a student of fear and greed. The greed has overtaken the fear this past week, however, the race has not got near the finish line yet. If you want to find a yardstick for success in the stock market, look around your neighborhood and see how many businesses and people feel prosperous. Those who want to keep their portfolio of stocks can find protection in EFT's such as SDS that shorts the S and P 500 or QID that shorts the QQQ... I am not a fan of short selling, however, when a market gets unbalanced on the up side, it has its uses to avoid a disastrous fall in value. There is no doubt, the day will come when it is prudent to buy and hold for future growth, but that may not be for a few year until the housing market, unemployment and collateralized notes have returned to more normal levels. This may be the second false start this year, which may disqualify the culprits. If it takes the S and P index down to 900 level, it may give rise to a third start upwards, in a more orderly fashion, towards the end of the year, that may have the legs to win the race ... reflecting a steady, constant rise in sustainable earnings. Disclaimer: This is just one layman's opinion, who is not an expert and is not affiliated with any financial institution. No changes should be made without consulting your own financial adviser, whoever you deem that to be.